Alright....as most of you know, I picked up a 40 gallon reef set up. I picked it up and I've decided that I don't like the stand. No biggie, I'll just pick up a different stand.....WRONG!!! An innocent call to my favorite lfs is going to get me into major trouble. I called about a replacement stand and ended up talking to the guy about a 125 sw tank. 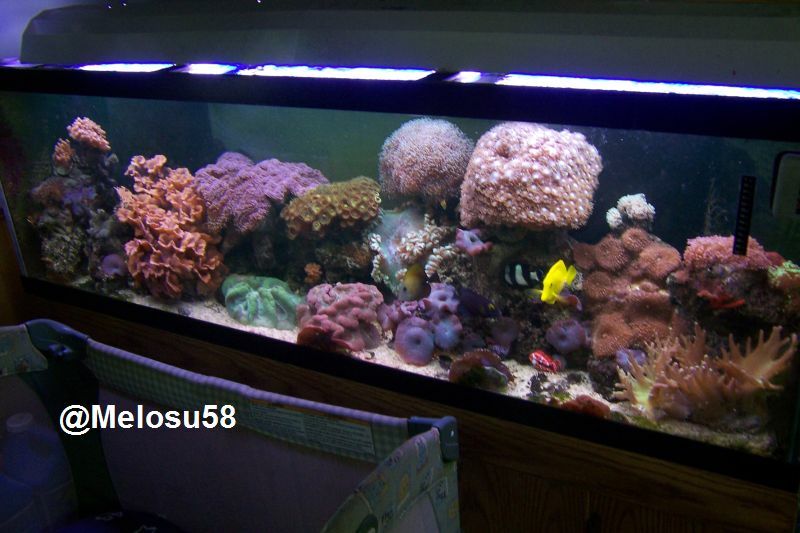 My lfs is going out of business so he has this mondo 125 drilled tank...complete with stand and MH fixture (no sump). He'd let me have it for $1000. As my eyes glaze over I reply, "I'll be in this afternoon just to look at it." I've seen this tank a hundred times....and I know exactly what it looks like. Yes there is a cure...MORE TANKS!!!! I'm thinking my husband is going to take me on a one way boat ride! Just make sure he drops you off near a reef. I am so very sorry but, There is no cure. Hello, My name is Gayla and I have MTS.